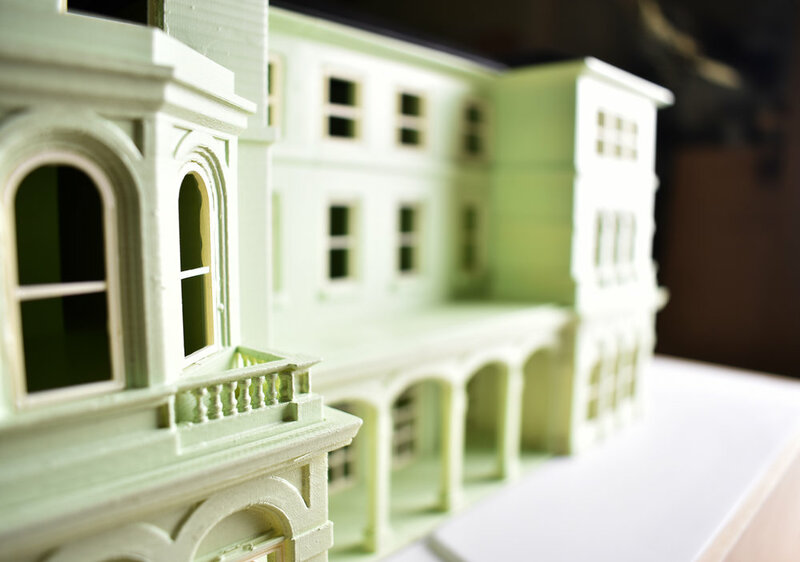 3D PRINTING YOUR ARCHITECTURAL MODELS IT’S NEVER BEEN SO EASY! Everything started on our CAD modelling software, using the Client’s sketches as a reference we designed the four storey development paying particular attention to the external details, the aim was to capture all the decorations that make this Victorian house a landmark so unique in its genre. We designed the floors separately so that the interiors could be showed at any time simply lifting off the other sections. We split the floors in multiple parts to avoid material wastage and overcome warping during the printing process. 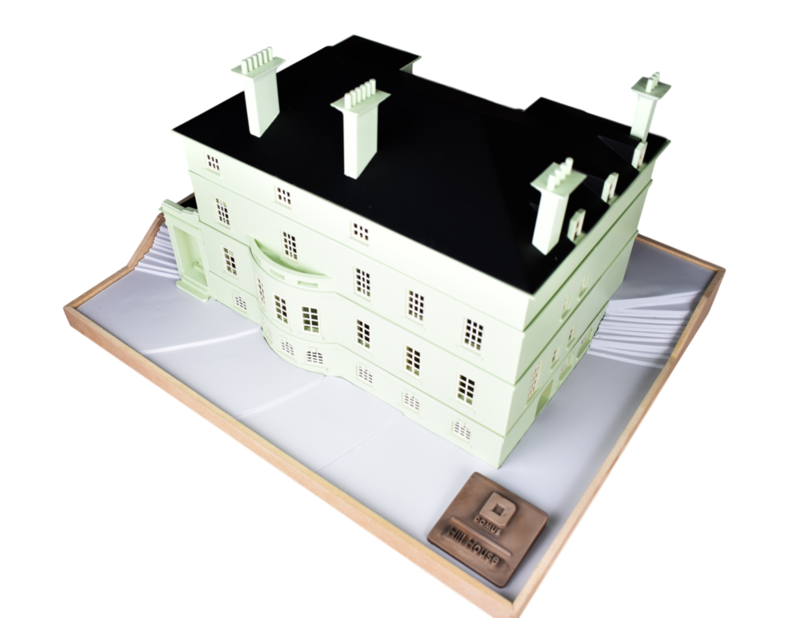 We used the same ABS material to join the various sections and moved onto bead blasting the exterior facades, this step gave the model that rendered feeling that made it so realistic. As a last step our skilled model makers painted the full prototype with a 2k finish chosen by our Customer. 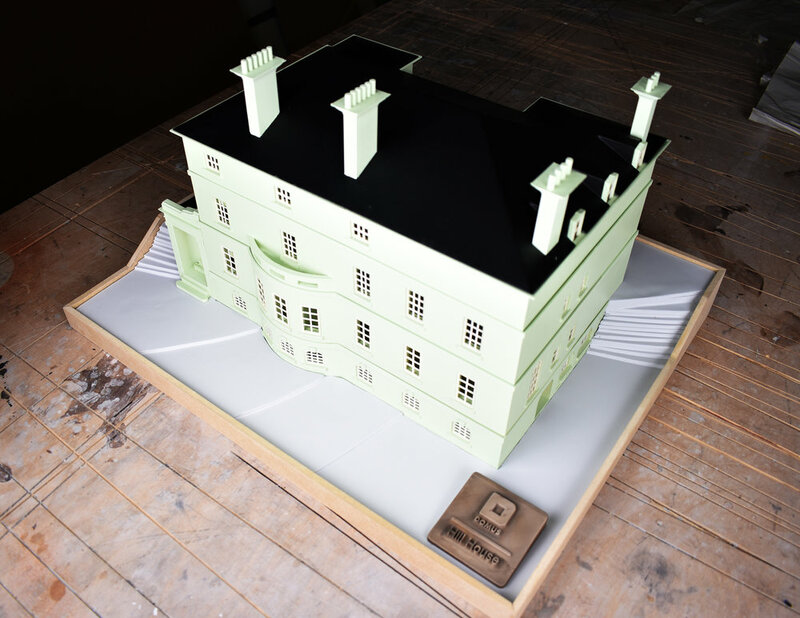 To make this model even more attractive we designed and built the surrounding terrain with MDF and foam-board sheets. The last touch was a cast bronze plaque with details of the property and the Developer. SO WHY GOING FOR A 3D PRINTED MODEL? Cheap: 3d printing definitely is a cheaper alternative to any other model making processes especially taking into account the hourly rate of a skilled model maker. Fast: Depending on the size of the model and finishes required the lead times start at 5 working days. Visually appealing: we could spend a long time talking about this, the point is building a model entirely by hand using foam-board, cork and plywood could probably achieve a similar level of details however it all comes down to time, and time is money. Ultimately we are talking about leads and sales, a 3d printed model will pay back its cost in no time and this goes for any firm or professional out there, from architects to developers and real estate agents this is to be considered another tool in every buisiness’s toolbox.